Sunday was sweet. The children who came forward for the children’s message were young and inexperienced in this little ritual of church life. They were shy and, perhaps frozen by the crowd behind them and this relative stranger asking them questions. They were simple questions. Questions about candles. What are they for? Where do we use them? Apparently they couldn’t remember ever seeing candles, though grandparents assured me after that they had candles everywhere from the fireplace to the dinner table. Since I wasn’t getting anywhere, I took them up behind the altar to look at the perpetual light that hangs in a red globe from the ceiling. And there, sitting on the floor, behind the altar, the Christmas tree, the advent wreath and flowers, we were out of sight of the congregation – and they finally began to talk. We use candles for light. We use them for celebration (birthday cakes and Christmas dinners). There were lamps in the ancient temple in Israel – the only light in a windowless room where God was understood to be present. 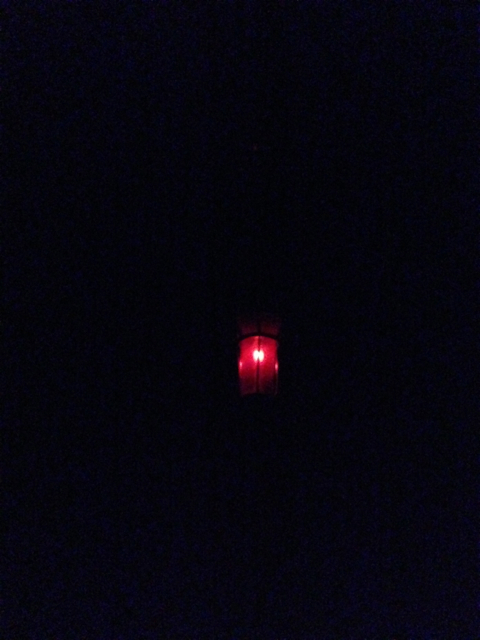 The red lamp is a sign that God is always present – not just here where people come to pray, but with us always. On the way back we stopped and I brought down the pillar candles on the altar so each could light one. Apparently that was the moment of success. When I walked into the fellowship hall for coffee hour, one of the little ones jumped up and said, “There he is!” (the man who let them light candles). It’s too complicated to explain to him that he is the true light of God, the true sign of God’s presence in the world: not only now because of that fresh simplicity and innocent love characteristic of early childhood, but because we were all made in the image of God, fashioned of the earth and the breath/spirit of God, and freed in Christ to be light to the world, to be the gracious, redeeming presence of God’s love in an often dark and terribly wounded world. Hopefully he will come to understand all this.